Bonjour from Paris for the final time this year. When most of you see this post, we’ll be on our way home. Natalie left on Tuesday at noon and had another frustrating journey with delayed flights, technical problems, missing but found luggage, etc. We miss her. Your comments, encouragement and support have meant so much to us this year which has been our busiest ever. And one of the hottest! I thought you might enjoy hearing some of Natalie’s comments and observations. She had a great attitude from the moment she arrived, and it was very special to have her here after twelve years of hoping she would come. —Natalie observed that the menu at most French cafes and restaurants is basically the same…duck, lamb, beef tartare, escargot, onion soup, salmon, cheese, croque monsieur, croque madam, etc. Of course, she was most impressed with the desserts. —She was surprised at how quiet people are in public places, especially the children. —She found the fashion to be a little bit of everything and hard to tell who was Parisian and who was a tourist. —She was confused by “oxymorons” like pulling your bread apart with your fingers and then putting it directly on the table which seems gauche —- but then being encouraged to eat your French fries with a fork. —She was pleasantly surprised at the delightful demeanor from almost all service people in stores and restaurants. —She observed that there is not much obesity. —She was “repulsed” by all the cigarette smoke. —She loved the architecture; it was so much more than she ever expected! We hope she will return to the US and be a cheerful ambassador for Paris!! She has certainly made our hearts sing. Now to Bernie’s and my reflections on this trip. We will not miss the heat, the dust from the unpaved road beside our apartment, or the pollution from stale air and car exhaust. We will not miss the absence of refreshing rain to wash the city clean. And most especially, not the awful pissoirs which have created a furor in the city from residents. I read an article about their purpose which was to keep “young men” from urinating on the streets. Can’t quite compute what the difference is…ha! Lastly, we won’t miss the awful mess at the Eiffel Tower and hope for better years when they have finished with the changes and perfected a new normal! We will miss, of course, the church bells, Miss Manon (our boulongerie & patisserie), our friends here and delightful neighbors, the river walks, and always the sunsets. Bernie will miss the inexpensive wines, the tartare de bœuf, and his group of drinkin’ buddies who have become so dear to him. Leaving them each year becomes harder and harder. I will miss the rich, dark espressos and the Café Gourmand. And definitely, we will miss the blissful insulation from American politics! This year, I witnessed two people get hit by cars, one an older lady with a cane who was immediately transported by ambulance. The other was a young delivery boy on a bicycle who got up seemingly uninjured and rode away. Both were scary scenes! The fashion has been surprising…lots of earth tones and few scarves… too hot. We have seen more subway police checking tickets in the subway and still many armed guards but perhaps not as many as last year. There were no terrorist attacks during our stay. Last year there were two. The restrooms just get better and better in public places which thrills me, and daily, I’m offered a seat on the subway from a nice young Parisian. 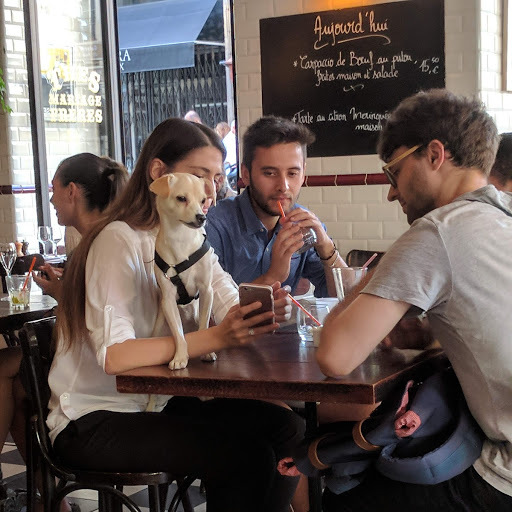 Those who still insist that Parisians are horribly rude just don’t understand and fall prey to an old stereotype. One funny thing I learned from our friend Ann Jeanne is NEVER to put confiture (jam) on a croissant! I’m finding myself much more at ease in conversing in French and absorbing French culture. And Bernie is really proud of his easy command of the language this year. It seems to have all jelled, and that brings him great joy. The steps and all the walking were more challenging this year. It surely must have been the heat, not the years that are creeping up on both of us! To Pierre and Laurie, we adored our time with you in Norway. To all of our company, thanks for spending time with us in this city we love. We trust you have great memories to cherish as we do. If you have our book, Bernie’s Paris, I hope you will reread the last chapter about how Paris has changed me. Go take it off the shelf right now and read it as the grand finale to my blogging. It is my heart and conveys my feelings with tender clarity. We’ve had so many memories at 42 rue St. Paul, and to think that we may not return is sad for us. Change is a part of life, and we’ll have to wait and see what next year brings. Au revoir and see you in the fall of 2019. P.S. Just couldn’t resist one more street scene of the day which we captured downstairs at dinner last night. As always, we have totally enjoyed your blog each morning, and will miss it so much!! It makes me wish you would stay longer and write more! May your trip home be uneventful and your homecoming be joyous! Love this “street” scene…I think my faves were all cafe with dog scenes! Thank you for your blog that makes me feel an invited guest too. Looking forward to 2019 and perhaps a different season which will be fun. Have a healthy year both of you. Au revoir. Perfect reflection of your simply perfect adventure. I loved the Natalieisms. How fortunate for you guys to see through her eyes all the wonders of this magical experience. I will miss reading yours and Bernie’s adventures in Paris, but will be happy to see you back in Huntsville, once we return. Wishing you safe travels. Once again, thank you for a marvelous summer. What a joy to read your posts first thing in the morning, living vicariously through your photos and words. Safe travels and see you soon. Safe travels dear friends. I will miss waking to read your tales of Paris. Great way to start the day. You are coming home to hot weather as well but lots of AC. What a beautifully written summation of a special two months. Thanks for sharing Paris with us! Thank you! I have enjoyed your time in Paris from my air conditioned home! It has been hot here in Alabama but I can’t imagine how you lived with the heat and no ac in Paris! Keep on traveling and blogging! Nice reflections. We’ll be glad to have you at you states side home for awhile. 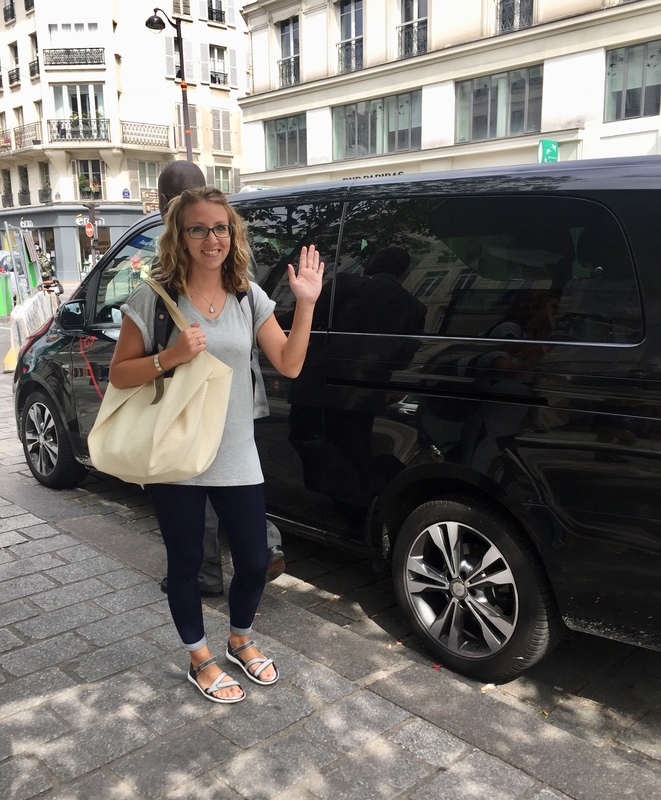 Thank you, Linda, for sharing Paris with us this summer. I have thoroughly enjoyed reading your Parisian adventures every morning with my coffee. I will miss it. I am definitely going to pick up “Bernie’s Paris” as soon as I can! Wishing you the best. Looking forward to fall of 2019. Au revoir! Enjoyed your blog. Paris is a great city and it’s fabulous that you have been able to experience it as you have. Thank you for sharing your journey this summer and for sharing a few hours with us in Paris. I’m sure it’s hard to leave; the joy you and Bernie have about being in Paris is very evident. We will be happy to see you in Alabama! I have so much enjoyed your Blog; I will miss the commentary and the photos as they have been such a great way to start my mornings. Hope your trip home was uneventful. I’ve experienced our beloved Paris vicarious through your words and Bernie’s (and others) photos. Thanks for sharing your journey! Safe and easy travels and see you soon. In the Fall. Have you been to Cafe’ Constant ? My favorite in the St. Germaine. L&B, hope your journey is smoother than Natalie’s (and some people think travel is glamourous … not always!) and by the time you read your comments you’ve safely arrived home. Your writing and photos have been a joy as always, though I don’t know how you did it this year with the heat and steady stream of visitors, even if they were your friends and precious daughter. I know I’m not alone in saluting your generosity and stamina! Thank you for sharing your time in Paris with us, your readers. I will miss your daily posts. Safe travels. Ditto to everyone’s remarks…it has been exhilarating to be with you and Bernie as you navigated through the streets of Paris and beyond! Thanks for always having the time to share with us your views, photographs and stamina of the Parisian scene! Safe travels on your way back home! I picked up ‘Bernie’s Paris’ late into your trip this year. I wish that I’d done that earlier. It added to my enjoyment of your daily blog. Chapter 6 is my favorite and I can relate to some of your experiences. Natalie was a great addition to your trip; you have much to be proud of. Thank you, Sybil. I’m so glad to have reconnected with Pat and found your friendship in the process. I so enjoy your travels! Only by living in a city and different culture do you truly come to understand the people. I am envious of your devotion to Paris and know you are both so blessed to be able to live in that place at least part of each year. I will look forward to seeing you and perhaps hearing more stories of this year’s adventure. Welcome home, “ya’ll”!